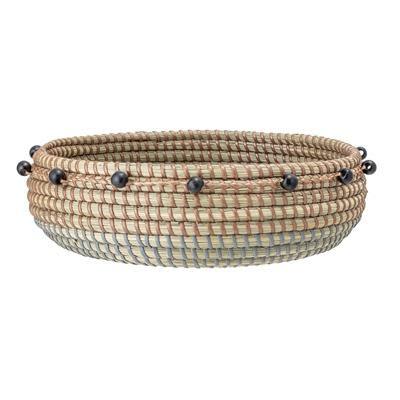 Beaded seagrass basket from Bloomingville. Has a coloured thread detail and black bead trim around the edges. Would make a great centre piece or fruit bowl on a dining table, or could easily be wall mounted in a collection of baskets.